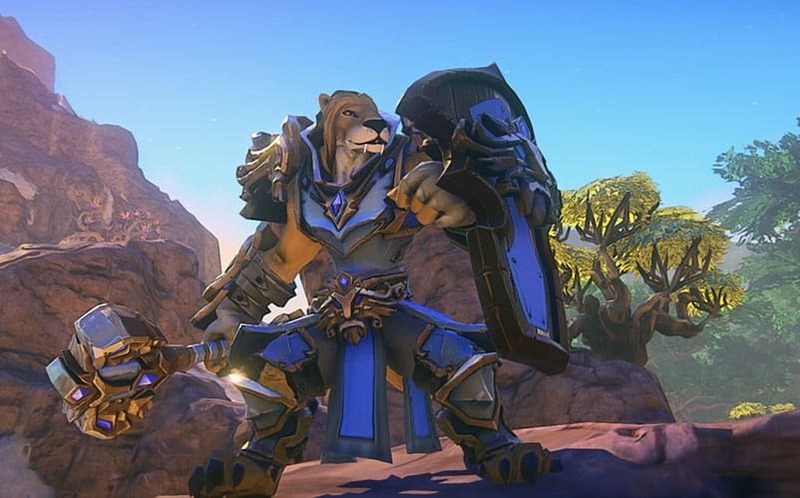 Everquest Next Developer Shifts Focus From Landmark | Nerd Much? Daybreak Games (which used to be SOE) has excitingly announced their intent to shift focus from Everquest Landmark to Everquest Next. In a post by senior producer Terry Michaels on the official Landmark site, he notes that the company will still continue to develop Landmark and use it to develop Next, but now Landmark will be put on the back burner while Next becomes the focus. EQN was originally announced over two years ago, with tons of great visuals and cool concepts (like everything being fully destructible), emergent AI, and the idea of permanently changing a landscape. It’s the only upcoming MMO worth talking about (correct me in the comments if I’m wrong). By the sounds of it, it’s doubtful at this point we’ll see the Everquest Next MMO hit the market in 2015, or even a beta for that matter. In fact, the company even used the words “I look forward to seeing how everything comes together as Everquest Next continues to take shape over the rest of the year and beyond.” Still, it’s exciting to hear that they’re ramping up the production of the game, as the gaming world needs a new MMO to play (since, you know, WildStar didn’t exactly work out as expected). We’ve been waiting to hear an update on EQN for quite some time, and it’s good to see Daybreak shift their focus.